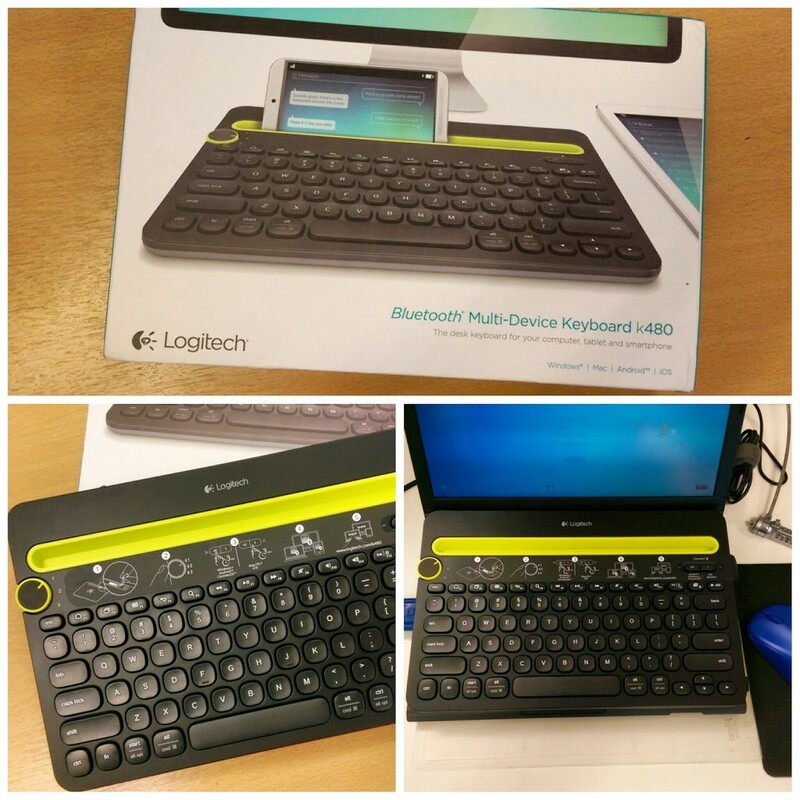 Do you have a smartphone, a tablet and a desktop, but only one Bluetooth keyboard? Did you wish you could use the single wireless keyboard with all your devices without having to re-pair every time you use? Logitech K480 is the answer to your wish! Regardless of the brand or OS, Logitech K480 pairs with 3 of your gadgets and lets you switch to any of them easily and quickly. 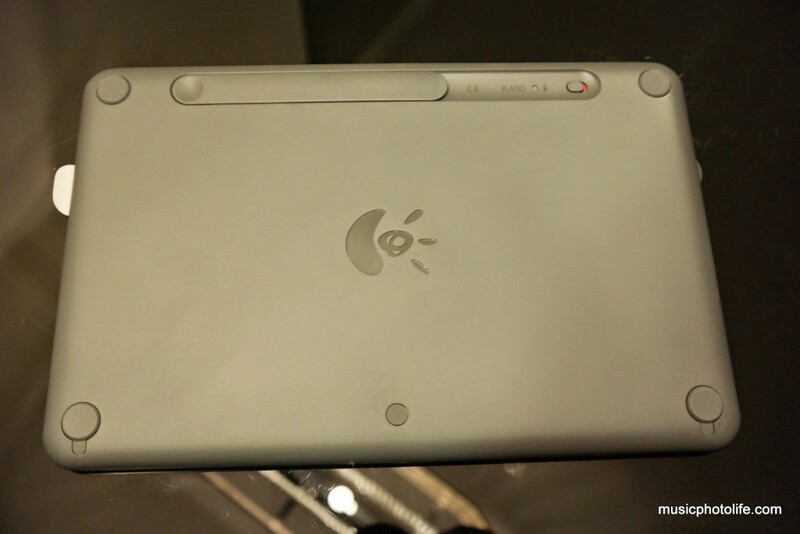 It has a built-in stand that is rubber-lined so your device will not slip off. The length is long enough to fit an iPad and another smartphone next to it. The stand is thick enough to hold even the original iPad. 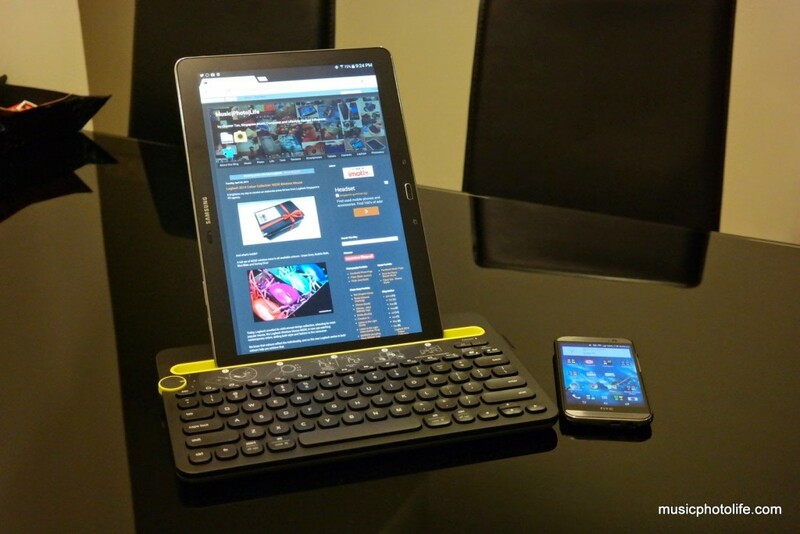 And if you own the Samsung Galaxy Note PRO 12.2, the K480 sits confidently in portrait orientation without tipping off. There are shortcut keys on the first row, like Home, App Switcher, Screen Capture, Playback, Volume, Search, Back keys. The round dial on the left offers sufficient resistance to prevent accidental changes. 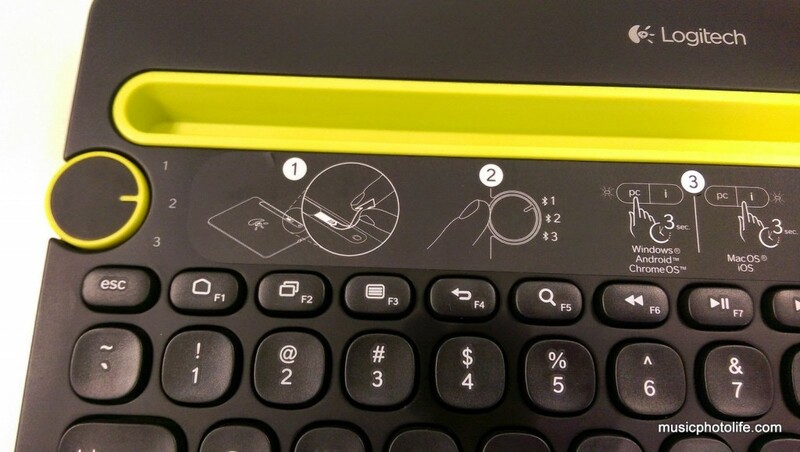 Upon switching, the K480 connects to your next device within 3 seconds. I prefer the physical switch dial than the softkey one on K810, the other multi-device Bluetooth keyboard launched over a year ago, as it gives me a clearer indicator of which device I am connected to. 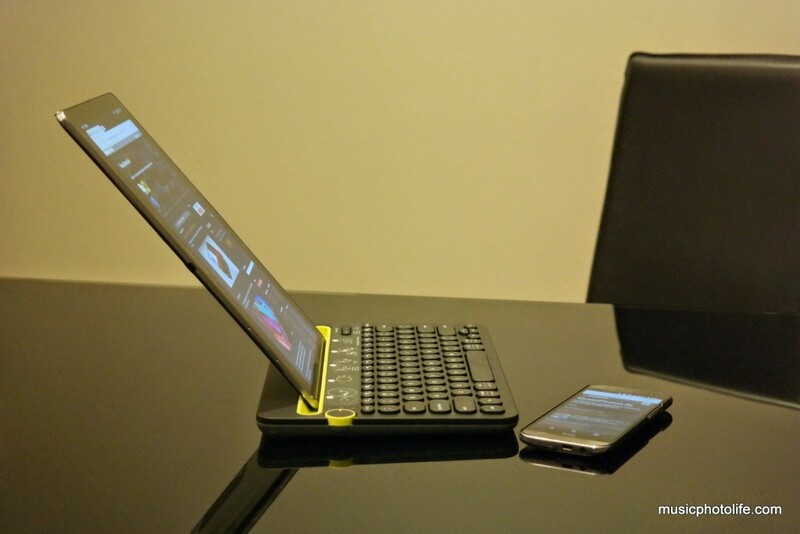 I really enjoy using the K480 with my smartphone placed on the stand. Before the K480, it would have been impossible for me to use an external keyboard with my device without a large flat surface. 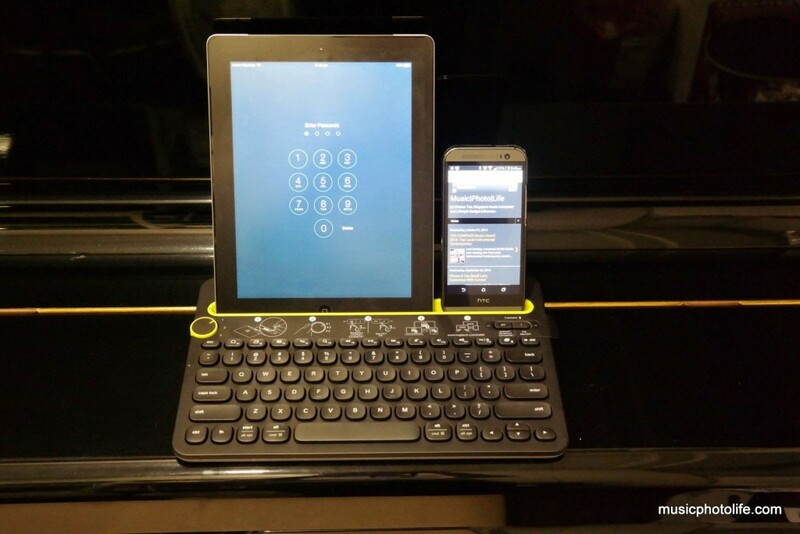 With K480, I could place the keyboard on my lap and the smartphone on the keyboard stand and type on. 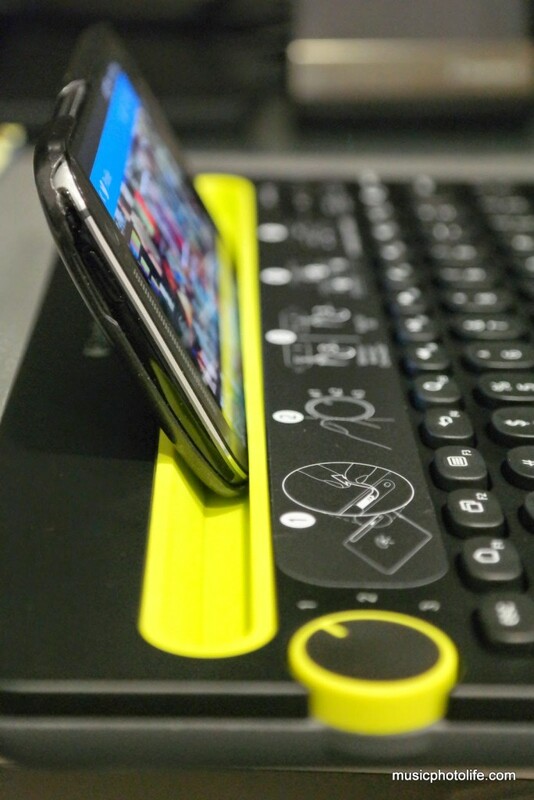 The rubber stand keeps the device rested firmly even when the keyboard has some movement. The only issue I have with the K480 is that the key actions felt plasticky and does not feel as smooth as the premium keyboards. The saving grace is that the keys are comfortably spaced for my fingers, not too close nor too far apart. While the keyboard is huge and relatively heavy – it’s the size of a 12.5-inch laptop and weighs heavier than a tablet – the size ensures the keyboard can support heavy devices. For S$59, the Logitech K480 is really a fantastic value. 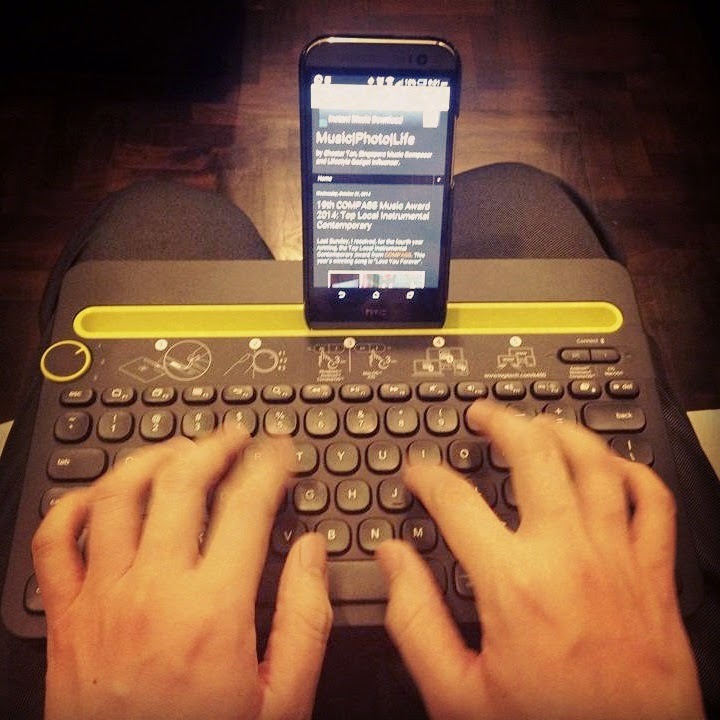 It’s the ultimate desk keyboard for your computer, tablet and smartphone, while light enough to use on-the-go. If you were held back from the K810 due to the price, there is no reason to hold you back on the K480. I would like the keyboard actions to be a little more premium build, but I couldn’t be too picky at S$59. After completing this review, I ordered one myself. 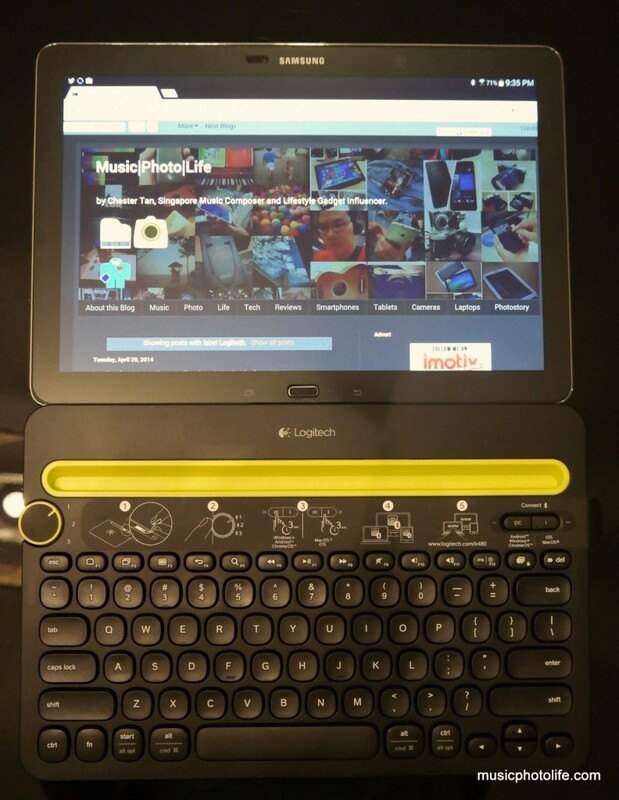 Pingback: Logitech K480 Bluetooth Multi-Device Keyboard Won 2015 International Design Award – Music.Photo.Life. Firstly, thanks for the awesome review– even I saw this product in a box in shop and wondered how good it is– and with your review I am convinced to buy it! Does it support Samsung Galaxy Note-4 ? The Belkin Bluetooth+ipad case I have does not support Galaxy Note-4 device– and so, I am concerned that after buying i dont end up with an incompatible product. Hi! Thanks for reading my review! Yes the keyboard supports Note 4. The keyboard supports all major OS formats, including Mac, iOS, Windows, Android. That’s how amazing this keyboard is! The minor problem is that some keys may get sticky over time. But I am willing to overlook that for its immense value. Get one soon and be productive with it!